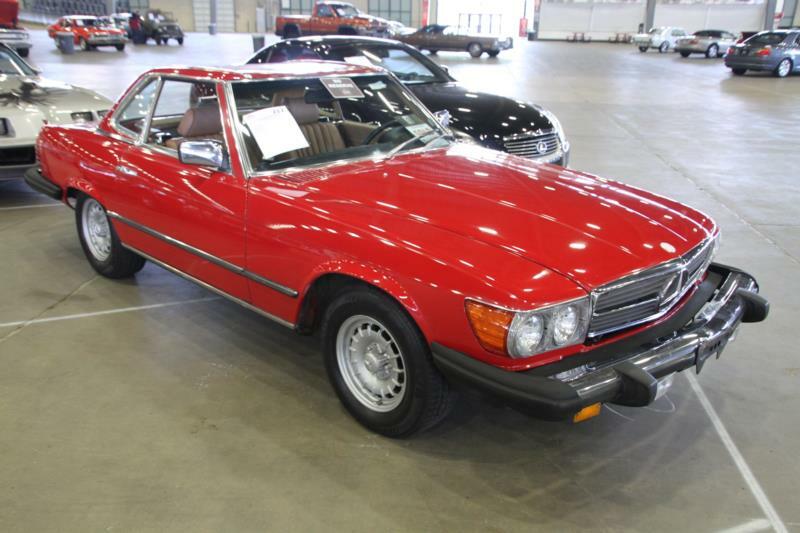 In 1980, Mercedes-Benz revamped its SL lineup of sporting luxury convertibles with the introduction of the 380SL. The 380 was a further development of the R107 chassis, which was first used in 1972 by the 350SL, and then later by the 450SL. Like its forebears the 380SL was a heady mix of V-8 power, refined luxury, and sporty underpinnings, and it was as a very popular model during its run in the U.S. The 380SL, so-named for its 3.8-liter V-8, had a smaller engine than the 450SL and was consequently 120 pounds lighter. The new engine was designed with emissions controls in mind while the 450SL’s mill was not, which meant that the two engines were relatively equal in terms of power (155 hp in the 380SL vs. 160 hp in the 450SL) despite the difference in their displacements. Performance was similar for the two cars, as was fuel economy. Outside of the engine, the 380SL also received a new four-speed automatic transmission, which further enhanced distance driving. Suspension, meanwhile, continued to be the same fully independent setup as in the earlier cars, and four-wheel disc braking remained standard. The 380SL ended production in 1985, at which point it was replaced by the 560SL. Today the car’s values typically lag the earlier 450SL and the later 560SL, mainly because the 3.8-liter engine is slightly less powerful and had some early cam chain issues. The reality, however, is that most models have had their chain issues addressed, and the power difference between the 450SL and 380SL aren’t as dramatic as the price discrepancy would suggest. As such, the Mercedes-Benz 380SL is a fine choice as a collectible 1980s convertible.